Compound feathered leaf ending in two folioles on each side of the main petiole. Compound feathered leaf with a main petiole ending in a single foliole. Compound leaf with folioles on both sides of a common petiole. Compound leaf with all its folioles attached at the same point, at the apex of the petiole. 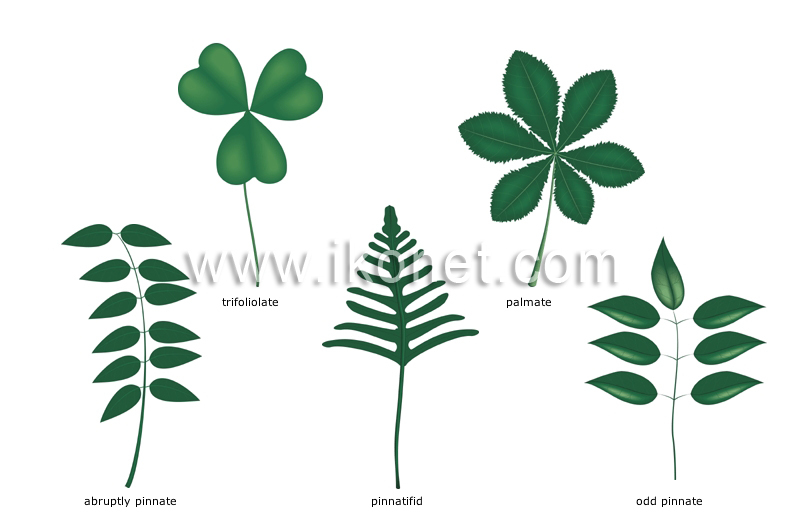 Leaf having three distinct folioles.